A new analysis comparing prices of routine women's medical services illustrates one of the major problems with health care – the patient is not considered a paying customer, therefore there is no need to control costs. October is recognized as breast cancer awareness month. In addition to the pink-outs we see at sporting events, fundraisers and gracing lapels nationwide, is a push for women to get mammograms to detect the disease in its earliest stages. But before scheduling your next visit, you may want to do a price check. According to an analysis by medical billing monitor Castlight Health, the price of a mammogram can vary greatly – from $50 to $1,045 in the Dallas-Fort Worth, in just one example. Dallas-Fort Worth is one of 179 metropolitan areas covered in the analysis, and mammograms represent just one of several women’s routine medical services studied for price disparity. 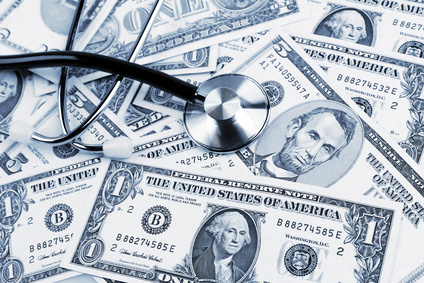 The results demonstrate one of the major problems with health care – the patient is not considered a paying customer, therefore there is no need to control costs. One reason for the disparity, as the analysis concludes, is that private insurers can negotiate different deals with hospitals, labs and doctors. But consider that many of these medical services are paid by a third party – private or government insurance – rather than the patient directly. Thus that third party become the customer instead of the patient. When this happens, neither the provider nor the patient is inclined to care as much about what the service itself costs. To the patient, someone else is footing the bill. To the medical provider, payment comes through the door no matter what. In other words, factors that usually help determine prices, such as competition and supply and demand, go right out the window. But when people are allowed to shop around and pay directly for goods and services, companies compete with each other for those customers. Lower prices, better quality and innovation are three by-products of such competition. Not so with health care. Finally, read “Five reasons health care costs continue to increase” to find out how well-intended reform such as the Affordable Care Act is making health care even more unaffordable.